Smoothie Bowls (And Five Other Very Good Reasons Not To Skip Breakfast). With summer right around the corner (thank goodness), we will soon have access to a full range of sun-ripened fruits, berries and fresh veggies; perfect for nibbling on raw, cooking, and of course, blending. By now most of you know of my appreciation for a good smoothie. Not only are the right mixes super nutritious, they can be delicious and very satisfying. Like most people, I have always enjoyed mine in a shake, but thanks to some clever and creative foodies, there is a new smoothie cereal trend that I am really getting into. I can see how many people would prefer to have something to actually chew (over simply drinking their morning meal) and when you add on fact that breakfast is well-known to be the most important meal of the day (think of your body as a car that needs the most fuel in the AM and less as it gets closer to its destination) and well, there’s really no excuse for grabbing a coffee or tea and heading out) there’s really no excuse to grab a coffee or tea and go. Very recently, Vogue ran a series showcasing some incredible Instagram accounts to follow that I wanted to share with all of you in the hopes it would serve as a source of inspiration. As I know many of you might still not be convinced to eat a little something in the morning, here are five reasons not to skip breakfast. Stay steady. Those who eat a healthy breakfast are more likely to maintain steady blood sugar levels throughout the day (therefore bypassing that 3:00PM energy crash). You’ll likely be leaner. Breakfast eaters eat an average of 100 calories less per day than those who don’t. Those who skip the meal are 4.5 less times to be overweight than those who do not. Better focus. Those who eat high energy foods get a short-term memory boost, but those who eat a high calorie breakfast tend to find their concentration hindered. 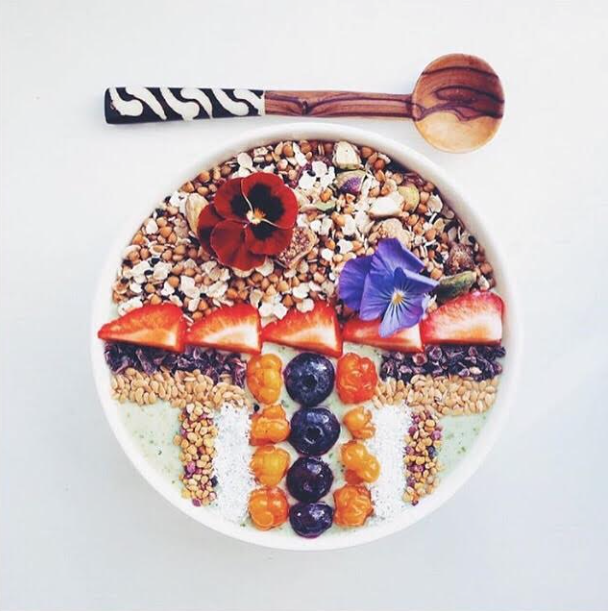 It is essential to pick healthy foods (a smoothie bowl or oats over a pastry). A Time Out. When you make time to have breakfast you can fill it with quiet sitting in the sun, to set a daily intention or even connect with your partner over a healthy meal.